With the HQ3 model of the Hongqi (red flag) car series - chosen as the designated vehicle for heads of provincial delegations during the recently concluded 17th National Congress of the Communist Party of China, the Hongqi has once again come under the limelight as it has on other historic occasions as well. The Chinese car brand with nearly a half-century of history seems always to be linked with important events, and has witnessed a series of memorable historic moments such as grand National Day celebration ceremonies, warm reception of heads of foreign states and the tremendous welcome accorded to the two Chinese astronauts on their return from a mission to the moon. The reason the Hongqi car receives such special honor lies in its role in the history of China's auto industry. Dubbed as the earliest Chinese auto brand, Hongqi was developed by First Automobile Works Group (FAW), headquartered in Changchun, capital of Northeast China's Jilin Province. Its birth is seen as a legend in the national auto industry. Within just a month and three days, FAW workers had accomplished a seemingly impossible mission as, in spite of a lack of resources and experience, the strongly motivated staff manufactured the first China-made car in 1958. Since the Hongqi car debuted at a parade celebrating the 10th National Day at Tian'anmen Square in October 1959, generations of Chinese have cherished the proprietary auto brand as the nation's pride. The national sense of pride is well demonstrated by former Chinese Premier Zhou Enlai's reply to then US President Richard Nixon's suggestion that he bring along a US auto fleet for his breakthrough visit to China in 1972. 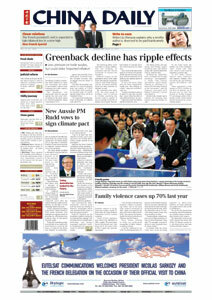 "Don't worry about it; China has the best car in the world," said Zhou. It is significant that the China-made Hongqi series was the vehicle used to transport Nixon during his visit to the country. Riding a Hongqi car ranked alongside speaking with Chairman Mao Zedong and staying at Diaoyutai State Guesthouse as one of the highest privileges extended to visiting foreign officials in the 1960s-70s. As Hongqi models enjoy the reputation of being the "national car," their maker has been looking to their laurels. As huge foreign capital pours into China's growing auto market, the competition among automakers here is becoming increasingly fierce. With a considerable difference in production scale, technological strength, marketing expertise and managerial experience between local and foreign automakers, foreign and jointly established brands have captured majority share of the premium car market in China. Against such a backdrop, local brands, even the Hongqi, have no other choice but to enhance technological innovation strengths and develop their own edge in a bid to narrow the gap with overseas rivals. Developing proprietary technologies does not rule out the absorption of overseas leading-edge technology and management expertise. On the contrary, capitalizing on global resources is a short cut to acquiring key technologies and accumulating management experience, said representatives of FAW, the maker of the Hongqi series. International cooperation helps in the acquisition of key technologies and sustainable capabilities in technological progress, which will likely lead to improved core competitiveness of local makers - a key contributing factor in the bid to revitalize China's proprietary brands, the company said. With its main focus on sustained growth and open cooperation with foreign partners, the company is seeking to build Hongqi into a globally competitive premium brand. The HQ3 model, launched last year, is an outcome of this philosophy of combination. With leading-edge technologies used in the production process to ensure outstanding performance, the premium proprietary HQ3 car model, born out of international cooperation, has established a reputation for its reliable quality, graceful appearance and outstanding comfort. Furnished with double engines - 4.3L V8 and 3.0L V6 -both in aluminum alloy to reduce weight, the premium model boasts excellent pick up and low fuel consumption. The layout of its components and the choice of the kit, which are tailor-made for China's road conditions, guarantee drivers' controlling stability and passengers' comfort. Expert design and new materials used for the car ensure a comfortable and quiet environment for passengers even when the car is running on an expressway. A series of comprehensive safety facilities, including air bags, a night-view system and an automatic braking system to avoid collision, have been designed to enhance driving safety. In terms of comfort, the nearly 5-m long premium car offers an efficient interior layout with spacious room for the rear seat. Various devices including a plasma air purifier, a rear-seat multi-function control button, and a car refrigerator and DVD entertainment system enhance the car's appeal. In addition, the elegant interior trim and design highlighting Chinese cultural elements and its comparatively lower maintain costs are expected to get the car into consumers' good books. In order to offer high-standard customer services, the company has designated 13 shops as its outlets. By the end of this year, the distribution network is planned to expand across more than 20 key Chinese cities. 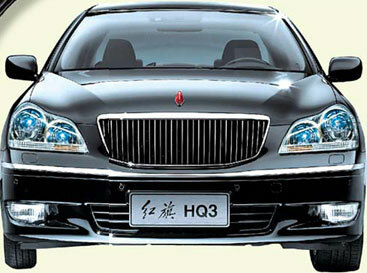 Following HQ3, the company will launch other deluxe car models in the near future. 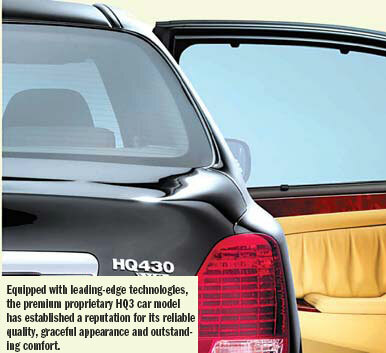 HQE, a classy car designed to receiving foreign high-ranking officials, is expected to be on the market in 2009, which will mark the phased realization of the company's deluxe car development strategy. HQ3 is seen as the first step toward realizing this ambitious strategy.